NATIONAL HARBOR, Md. (ABC7) — It’s an exhibit like no other. If you’re looking to get the best Instagram pictures and learn a little bit about history, the Air Force One Experience at National Harbor is the place to visit. 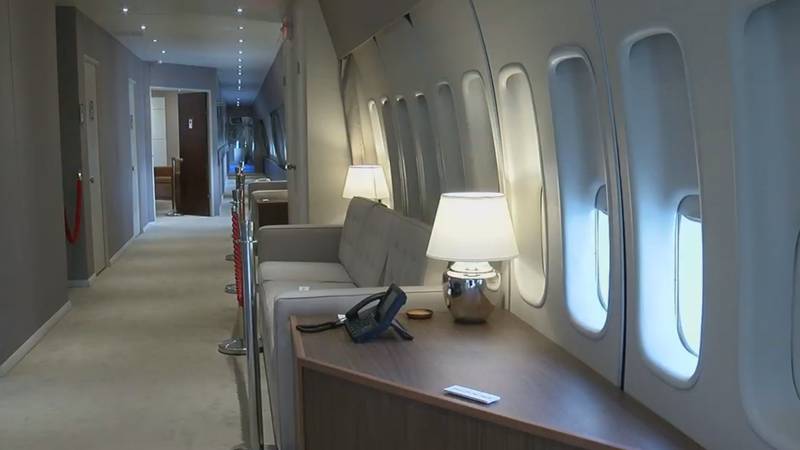 The plane, an actual Boeing 747, is a replica of the real Air Force One that the president uses and will be part of an exhibit that opens Oct. 19 and will stay open through the holiday season. The plane is located at 701 National Harbor Boulevard, which is next to the Gaylord National Resort and Convention Center. Visitors will get to experience a 90-minute learning experience, including a chance to feel what it’s like to be president on Air Force One. The full-sized replica arrived at National Harbor on Oct. 1 on a barge on the Potomac River. The Children’s Democracy Project – an initiative developed to educate children on the importance of democracy around the world – selected National Harbor as the venue for the replica plane. It was placed on the barge in Rhode Island, where it was built and developed. Admission is $20 for adults and $10 for children. Tickets for the exhibit can be purchased at www.airforceoneexperience.com.